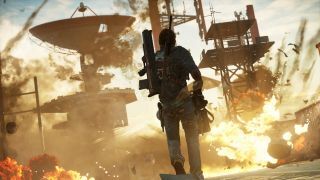 Square Enix has a very interesting new promotion for it's latest game, Just Cause 3 - you could win yourself a real island. According to the game's official website, you'll need to buy the Day 1 edition of Just Cause 3, sign up for a Square Enix account, link your PlayStation Network or Xbox Live profile to the account, then try to top the Just Cause 3 leaderboard with as many Chaos Points as you can. How do you get Chaos Points? By destroying everything within the game as creatively as possible. We're not sure how this creative destruction will be judged, but if you come out on top at the end of 90 days from the game's release on December 1, you'll win yourself an island valued at US$50,000 or a cash prize of the same amount. Of course, there are some fine print associated with the promo. The promo is only open to residents of the US, Mexico, Chile and Canada who are at least 18 years old, and Square Enix has not revealed which island you'll be winning or where it is located. "Sponsor does not guarantee the Island to be inhabitable, developed or reachable by any means other than a boat," the official rules read. You'll also be responsible for all taxes and fees associated with buying an island, including attorney fees, as well as escrow and closing costs. Still, and island is a freakin' island! Check out the promo vid below.